Hollywood was in many ways still a small town in the early thirties, and as far as motion picture making goes, it certainly operated by a different set of rules. In 1932, Metro’s production chief Irving Thalberg, with “More Stars Than There Are In Heaven” at his disposal, had brought to the screen the first star-studded event picture. Grand Hotel was a critical and financial success for Hollywood’s biggest studio, and featured many of MGM’s top stars, from Greta Garbo and Joan Crawford to Wallace Beery and the Barrymore brothers, John and Lionel. The movie made buckets of money for Thalberg and Louis B. Mayer, and it also captured the fifth Academy Award for Best Picture. Grand Hotel’s success spawned a trend in star-laden features at MGM, many of which employed the Barrymore men. Up next was 1933’s Rasputin and the Empress; followed shortly thereafter Dinner at Eight (with Marie Dressler, Wallace Beery, Billie Burke, and Jean Harlow) and then the aviation film Night Flight (with Helen Hayes, Clark Gable, Bob Montgomery, and Myrna Loy). Each project was financial success for the studio — even the forgotten Night Flight — and each enhanced MGM’s reputation for lavish decadence at a time when the financial future of not only the movie business itself, but also the country and its inhabitants was far from certain. 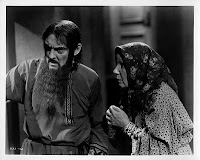 Rasputin and the Empress, somehow yet to find its way to a DVD release (note: now available via the Warner Archive collection), is a surprising film, though it’s fair to say it runs long and suffers from lackluster editing and continuity. Youthful director Richard Boleslawski, surrounded by so much talent and wealth, must have been out of his depth, though he imbues a few scenes with enough verve to make the whole affair worthwhile. 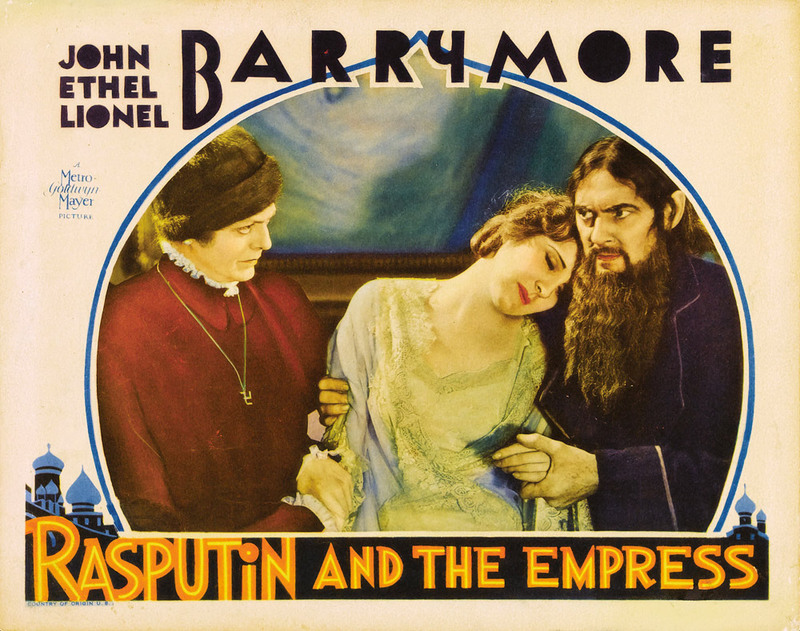 Lionel Barrymore is ostensibly the star; his interpretation of Grigori Rasputin is an eye-opener — it’s at once frightening and eerie, yet never falls into the bombast or silliness that could sometimes characterize Lionel’s screen persona — particularly if one recalls his questionable Best Actor performance two years before in A Free Soul, or his much celebrated (and lampooned) turn in It’s a Wonderful Life. In fact, he inhabits the title role well enough that there are moments when one forgets the man wearing the fake beard — quite a feat considering that neither Lionel, nor any other cast member attempts an accent. You are left with the lasting impression of a powerhouse performance — one that justifies the 1931 Oscar win, and leaves viewers wishing his looks had provided him the opportunity to get away from character parts more often. Ethel appears as the Czarina Alexandra, and in spite of the film’s nomination in the Best Writing category, her role is painfully shallow. 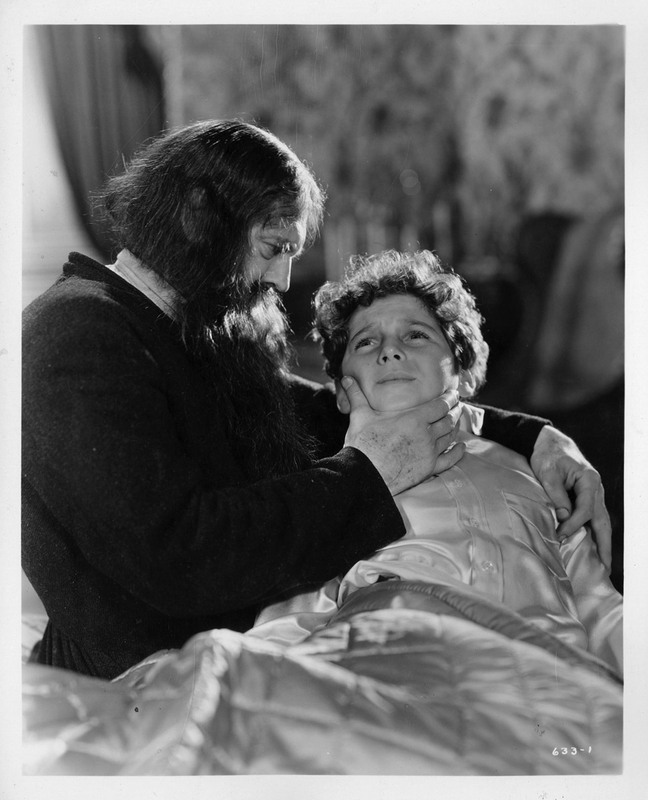 She’s the doting mother and wife slavishly dedicated to Rasputin, though we are asked to buy into their relationship despite a lack of establishing scenes, beyond an initial meeting where Rasputin convinces her to allow him to attempt to heal the Czarevitch Aloysha (Tad Alexander), her hemophiliac son. (The mystic succeeds, though we never learn by what means, beyond some fancy hypnotic hocus-pocus involving a gold pocket watch.) It’s Ethel herself that saves the role — and in some ways the film itself — by imbuing her character with such a powerful sense of melancholy that you intuitively understand her to be the worried mother of not only a terribly fragile child, but of an equally troubled country. More than either of her brothers, it’s Ethel’s performance that serves of a constant reminder of the socio-political tumoil that serves as a backdrop for the movie’s smaller human dramas. John Barrymore is something of a third wheel here. While his role is crucial — he plays the Russian prince who sees through Rasputin — and obviously one of the film’s three big draws, this would have been a tighter movie without his role, especially if the salvaged time had been invested in the character development of Alexandra. Yet John represented the biggest box office draw of the trio, and he does dashing quite well. 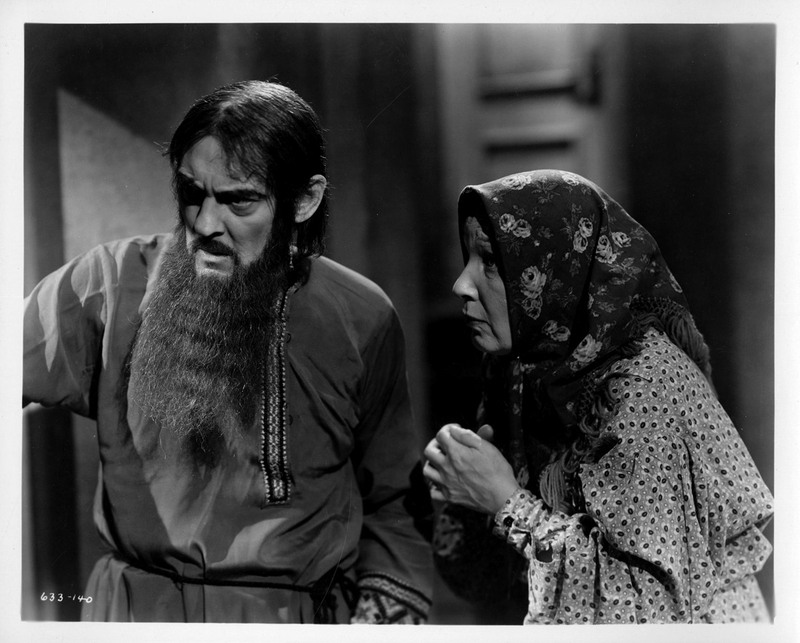 And for nothing would I sacrifice the scene late in the film when he and Rasputin finally came to blows. It is simply extraordinary, and as vividly expressionistic in its violence as anything you’re likely to see from thirties MGM. Another such scene happens earlier, when Rasputin forces Aloysha to look through a microscope as a common ant and a housefly fight to the death underneath a glass slide. It’s great, scary, almost operatic stuff. That Czar Nicholas story if a tough one to tell — after all, we all know how it ends. 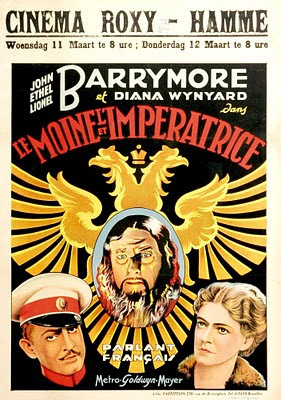 Rasputin and the Empress, the first of numerous relatively unsuccessful filmic attempts to tell it is an uneven, yet still compelling movie. It benefits greatly from its own gimmick: casting the three Barrymores in the same picture. However it’s the performance of Lionel that makes this so darn entertaining, and so drab when he is away from the screen. Not available on DVD, this can still be found on VHS in many libraries, and via a few internet download sources. It’s worth seeking out. Despite its colossal production values and the presence of acting’s first family Rasputin and the Empress wasn’t the MGM film to receive a coveted Best Picture nomination — for that matter neither was Dinner at Eight. That honor surprisingly went to the Norma Shearer, Fredric March, and Leslie Howard fantasy Smilin’ Through. It’s easy to imagine Thalberg positioning the studio’s resources squarely behind wife Shearer’s project, but there’s no evidence to suggest he did so. It was really just a poor Oscar season for the movie business’s most profitable studio, with only one other film, The Prizefighter and the Lady receiving nominations. The big loser in all of this was Dinner at Eight, which was on the receiving end of the lion’s share (apologies, I couldn’t help myself) of MGM’s publicity yet failed to garner a nomination in any category — it was Oscar’s first big snub. Twentieth Century Fox (with B.P. winner Cavalcade, and nominee State Fair), Paramount (A Farewell to Arms and She Done Him Wrong), and Warner Bros. (42nd Street, Gold Diggers of 1933, and I Am a Fugitive from a Chain Gang) dominated instead — even RKO (thanks to the sensational debut of Katharine Hepburn in Morning Glory and Little Women) fared better than MGM. For the first time in the brief six-year history of the awards, Academy founder Louis B. Mayer and MGM went home empty-handed. 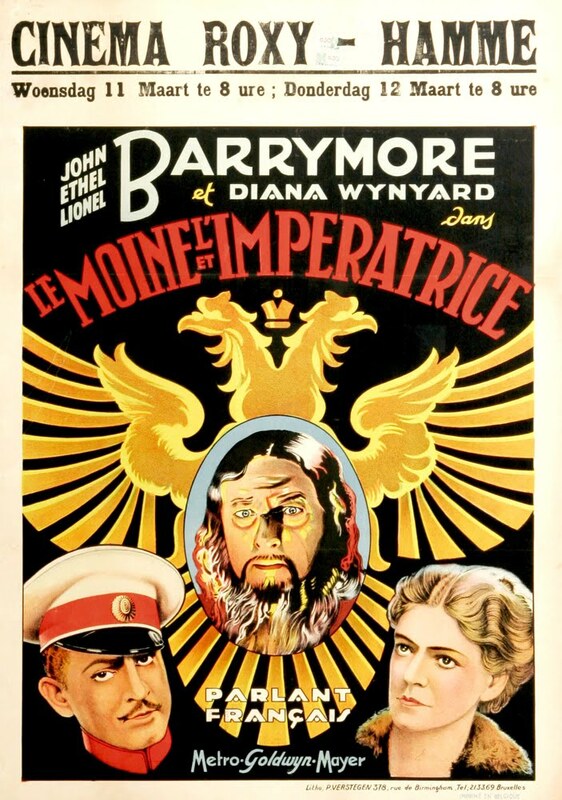 Starring John, Lionel, and Ethel Barrymore. With Diana Wynyard, Edward Arnold, and Ralph Morgan. Availability: VHS, Warner Archive DVD on demand. Yep - I just noticed this is now available via the Warner Archive. Post amended!